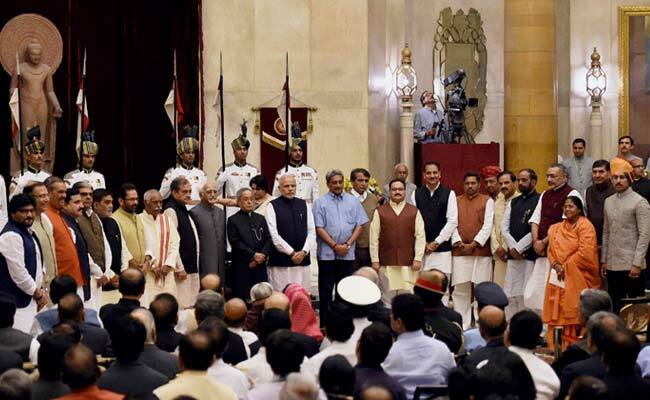 By inducting 21 new faces into his council of ministers on Sunday, Narendra Modi has sought to address the foundational flaw with which he began his term as Prime Minister in May: that a government as complex as that of India’s can be administered by just 44 men and women. That miscalculation, or conceit, call it what you will, was itself the product of his desire to appear purposeful and different from day one. ‘Less government, more governance’, the Modi mantra went; but as the months passed by quickly with little other than grand announcements and declarations to show for, the case for more hands at the wheel became compelling. Having ministers double up or even wear three hats does not make for efficient or effective governance; and the much vaunted empowerment of secretaries via prime ministerial pep talks has also not produced the sort of results Modi needs on the ground in a vast range of areas if he is to stand any chance of fulfilling the expectations he raised during the election campaign. The Prime Minister realised this lack within his first month itself but faced a problem that all leaders who personalise administration eventually have to confront: it is not easy to find people out there who are talented and who believe in Hindutva and all the baggage that comes along with it, and who will faithfully implement the Modi agenda, come what may. And this is where he has run into trouble. You can tell the barrel of talent within the Bharatiya Janata Party is being scraped pretty thin when Narendra Modi has had to make ministers out of a sitting Chief Minister (Manohar Parikkar), leaders poached from other parties (Suresh Prabhu from the Shiv Sena and Birender Singh from the Congress), and a back-room player from the RSS best known for using his influence over the government to run an anti-corruption whistle-blower out of office (J.P. Nadda). Of course, Prabhu and Parrikar are men of unquestionable competence and their induction will certainly staunch the initial rumblings of criticism about the Modi cabinet’s lack of technocratic faces. Rajiv Pratap Rudy, an experienced minister who was curiously omitted when the government took office in May, will also boost the administration’s image. That Prabhu was destined for cabinet became clear a month ago when the Prime Minister named him ‘sherpa’ for India’s G-20 summit preparations; the BJP’s break with Shiv Sena, Prabhu’s parent organization, has made his induction smoother still. An early advocate of reform in the power and coal sectors during Vajpayee’s tenure, Prabhu also authored the report of an important task-force on river-interlinking, a controversial idea that figures prominently in Modi’s mid- to long-term agenda for India. Parrikar’s induction will finally allow India to have a full-time Defence Minister but the fact that this process has taken five months suggests some degree of dissonance within the upper echelons of the BJP and its parent body, the Rashtriya Swayamsevak Sangh. The speed with which Parrikar’s replacement was found suggests the problem was more about dealing with factions and egos in New Delhi and Nagpur rather in Panaji. In political terms, the biggest story from Sunday’s cabinet expansion, of course, is the rupture with the Shiv Sena that it signifies. After Uddhav Thackeray’s presence at the swearing-in ceremony of Maharastra Chief Minister Devendra Fadvanis, it was assumed that the Sena and BJP had worked out a broad new formula that would lead to a greater Sena presence in the Modi cabinet. Not only has that not happened – the promised cabinet berth for Sena MP Anil Desai never materialized — but Prabhu’s resignation from the party and his entry into the BJP is a further insult to Thackeray. For now, the Fadnavis government in Mumbai has the cushion of unconditional support the Nationalist Congress Party has promised. But in the long run, the arrangement does not look comfortable or stable. This entry was posted on November 9, 2014 by Siddharth Varadarajan in Indian Politics, Narendra Modi.